Ask A Biologist continues to be free to the public with the help of our volunteers and supporters. Please consider supporting the program by making a gift to the ASU Foundation. Here are some of the ways we use funds donated to the project. At Ask A Biologist, we believe that pictures help tell the story when words are not enough. 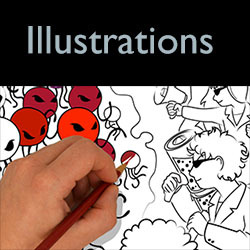 Take a look at Viral Attack for one example of how illustrations help explain the complex topic of the human immune system to a wide audience. Games and simulations can be powerful learning tools. As Ask A Biologist continues to grow, we have increased the number of activities that teach through play and interactive activities. 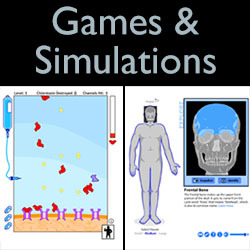 Check out our Bone Lab to see how games and simulations enhance the learning experience. 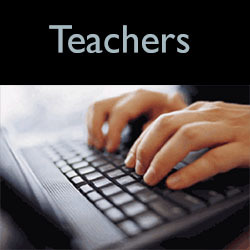 Central to the success of Ask A Biologist are the programmers and developers who work behind the scene on the website. 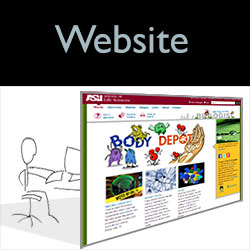 Without funding to develop and maintain the website we would not have a place to distribute all the great content. Your gift may be considered a charitable contribution. All funds will be deposited with the ASU Foundation, a separate non-profit organization that benefits ASU. Please consult with your tax advisor regarding the deductibility of charitable contributions. Thank you for helping us reach children by sharing the intriguing aspects of biology and shaping their future education in science!